A Flappy Bird game without pipes is not really interesting, so let's change that. First, we load the pipe sprite in the preload() function. Since we are going to handle a lot of pipes in the game, it's easier to use a Phaser feature called 'group'. The group will contain 20 pipes that we will be able to use as we want. So we add this in the create() function. 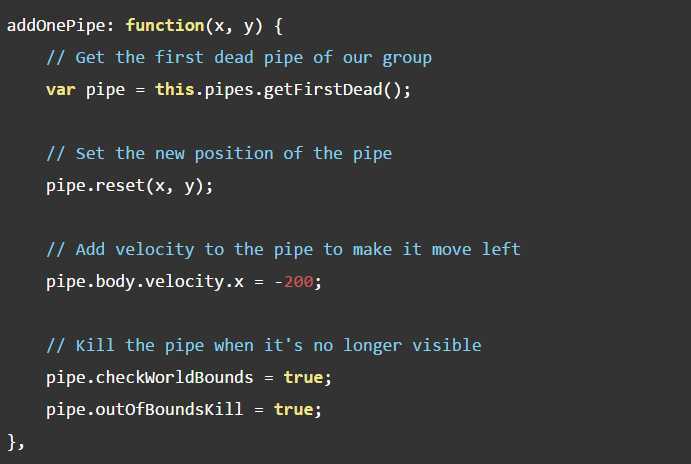 Now we need a new function to add a pipe in the game. By default, all the pipes contained in the group are dead and not displayed. So we pick a dead pipe, display it, and make sure to automatically kill it when it's no longer visible. This way we never run out of pipes. The previous function displays one pipe, but we need to display 6 pipes in a row with a hole somewhere in the middle. 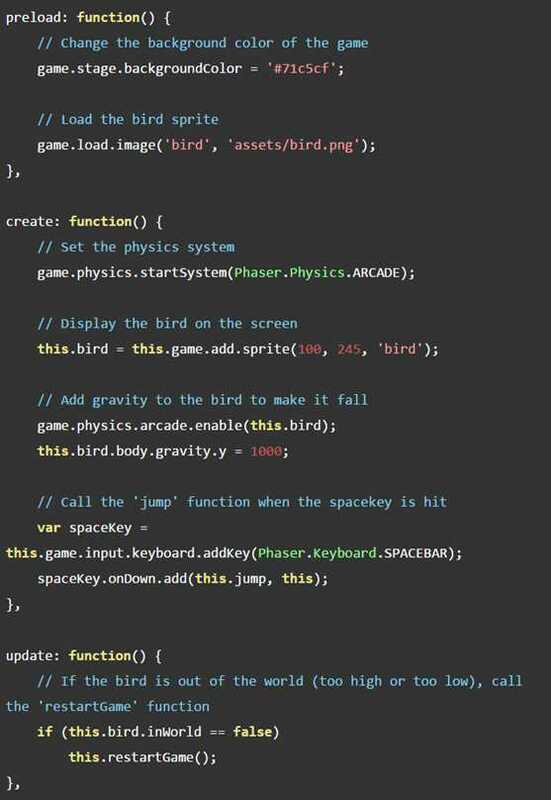 So let's create a new function that does just that. To actually add pipes in the game, we need to call the addRowOfPipes()function every 1.5 seconds. We can do this by adding a timer in the create() function. Now you can save your file and test the code. This is slowly starting to look like a real game.